To help everyone prepare, here is the information you'll need to enter Sun versus Snow. 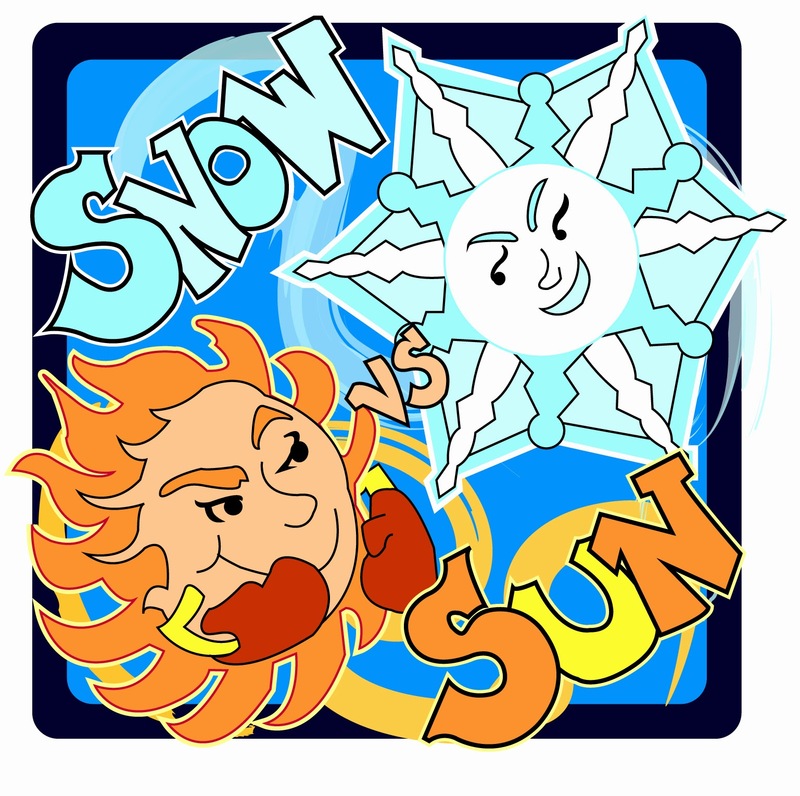 The submission for Sun versus Snow will be February 1st at 4 pm Eastern time. Act fast. We will only be taking the first 200 entries. Please do not enter early or your entry will be deleted. You can resend at the proper time if this happens accidentally. Confirmation emails will be sent. If you don't receive one, don't resend. We don't want duplicate entries. Please check with us on twitter first to confirm your entry did or did not arrive, then you may resend. There is only ONE, yes that's right, ONE entry per person allowed. Any attempt to cheat will result in entries being thrown out. This contest is only for finished and polished stories. The story can't have been in the agent round of any other contest. This is to provide fresh material for the agents and to give others a chance. Amy and I have decided not to accept picture books for this contests. Though we love picture books, contests just don't seem to be the best place to get them requests. We do accept all MG, YA, NA and Adult genres, excluding erotica. To enter you must be followers of our blogs. Click the 'join this site' button on my blog. You can find Amy's blog here. Send submission to Sunversussnow (at) yahoo (dot) com. Only one submission per person is allowed. It doesn't matter if you write under different names or are submitting different manuscripts. You are still one person and get one entry. Which would your character find more helpful in fighting through their biggest obstacle--hot or cold. And why? Tell us which weather would be the most helpful to your character. Query goes here! Include greeting and main paragraphs. Please leave out bio, closing, and word count + genre sentence. You may include comps if you'd like. There is no word count limit on the query but please aim for 250 - 300 words. Here are the first 250 words of my manuscript, and I will not end in the middle of a sentence. But I will not go over 257 words. Be reasonable and don't make us count. Don't forget to space between paragraphs! That's it for now. Get those entries ready for February 1st and leave any questions in the comments or ask on twitter. Mentors and agents will be posted in January. As of now, we have fifteen fabulous agents! Also stay tuned for Michelle's Free Pass. It could happen at any time. She hasn't really decided. Happy holidays and we can't wait to get started! Must have low blood sugar, but can't find the rafflecopter, but did comment on your blog and tweet about the contest. Please advise. Where's the 'join this site' button? I'm a rule follower! Let me make sure I understand comps correctly... this is like saying, your book is like Superman meets Jurassic Park? Or do I totally have this wrong? Actually, let me expand that question. Short of doing Dear agents, I'm not sure what you're expecting for a greeting. I'm prepared with the pitch part of the query and I'm avoiding any bio and the like. Is there something specific in greetings that you're looking for? Dear agents is fine for a greeting. And you have the comps part right. For the agent round we will be allowing bios to be added. We are just not taking them for the submission round. Hello, thank you for hosting Sun vs Snow! How do I follow the two blogs? *clueless* Is it where it says "Subscribe to My Newsletter" and I enter my email? It's the widget at the bottom that says "Followers." click the 'join this site' button. If a manuscript has been in another contest a long time ago, but has gone through significant revisions that changed the major and minor plot lines, character names, and title, is it OK to enter? I'd say we would want the restrictions on contests to go back five months. If it's been longer than that, then you can enter. Great, it's been almost a year and none of these agents participated. Thanks! Hi, I tried to subscribe to your newsletter, but I never received an email to finish the subscription. What should I do? Wait a day or two and try again. If that doesn't work, don't worry about it. Star Wars: What genre is it?